My boys have recently become addicted to scootering. We seem to be quite lucky in West Sussex, there are plenty of good skateparks around for those who like a bit of tail-whipping and grinding at the weekend! 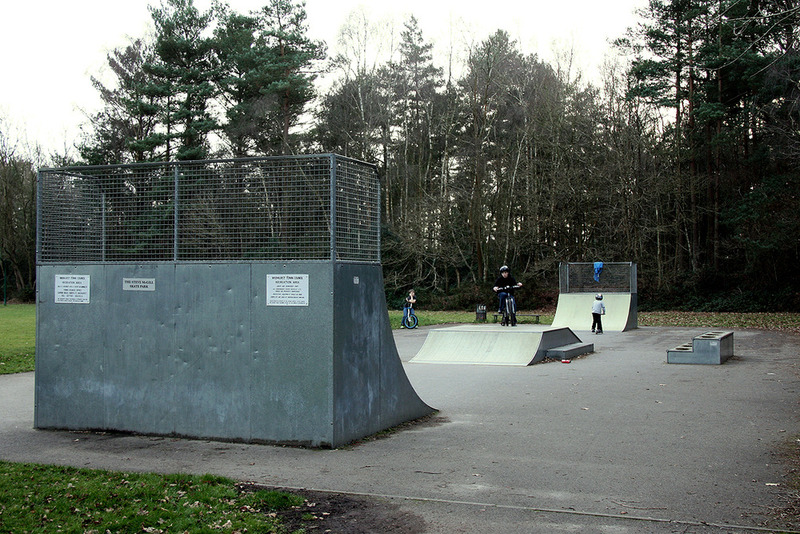 Midhurst’s skatepark is in Carron Lane, Midhurst, West Sussex. It’s not the coolest park in the universe but it’s friendly and quiet, and the big ramp is quite high. Basically it’s a couple of ramps and some rails… and it’s named after a local lad called Steve McGill, who as a passenger was killed in a car crash back in 2001 aged just 18. Where is Midhurst Skatepark? If you’re looking for the postcode it’s GU29 9LF… The address is Carron Lane, Midhurst.